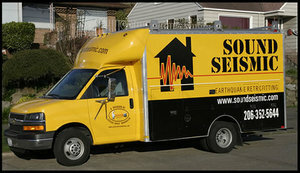 Sound Seismic, established in 1999, is a certified earthquake retrofitting specialist, dedicated to using proven materials and construction practices to help protect our clients' homes from earthquake damage. 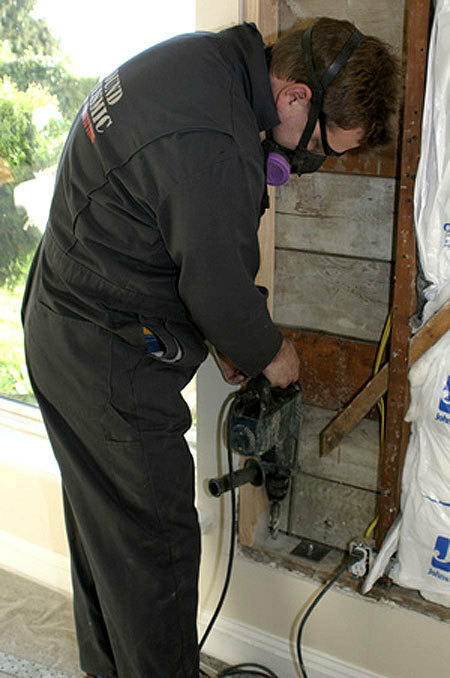 We pride ourselves in having the best trained and most experienced retrofit crew in the greater Seattle area. All of our staff have been trained through the WA Assoc. of Building Officials (WABO) Earthquake Home Retrofit Training program. We provide a professional "no obligation" assessment, and a fixed price quote. Retrofitting is ALL WE DO! Over twenty years of specialized experience have made us the best (and the best value) in retrofitting. When we are done, you will be provided with the signed-off building permit, as well as a certificate of completion letter so you will qualify for earthquake insurance coverage. 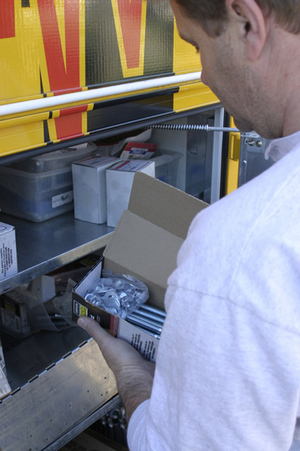 Our service area is currently limited to the city of Seattle and nearby areas. We serve all Seattle neighborhoods, including Ballard, Magnolia, Queen Anne, Phinney Ridge, Wallingford, Greenwood, Wedgwood, Ravenna, Green Lake, Laurelhurst, Capitol Hill, Madrona, Beacon Hill, West Seattle, Mount Baker, Loyal Heights, Crown Hill, Broadview, and more. Not only are Sound Seismic's retrofit technicians trained on the technical level at the University of Washington they are also refined through field experience and continued education. In such an industry, on-the-job experience coupled with up-to-date product and procedure education is key to creating a quality earthquake retrofit. Securing the house to the foundation is a main component of earthquake retrofit. In the picture below one of our retrofit technicians is using his refined skills and experience to help secure the house safety in the event of an earthquake. Our highly-trained and experienced earthquake retrofit team is certified to help you protect your home against major structural damage from earthquakes. We do not call our work "earthquake proofing", as there are simply no guarantees, but the methods and materials we use have been proven to be effective at minimizing earthquake damage. Read our Earthquake Retrofit FAQ's. Or contact us now for a professional evaluation. The Retro Truck is fully stocked and ready to tackle any task when it rolls up on the job site. All tools travel with the Retro Truck and many are powered by an on-board compressor. Specific engineering requires specific retrofit carpentry. 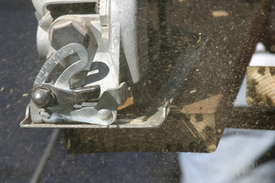 A saw, saw horses and lumber are always on the Retro Truck for just such needs. Pressure treated lumber with a sealant to protect it from moisture or insects.